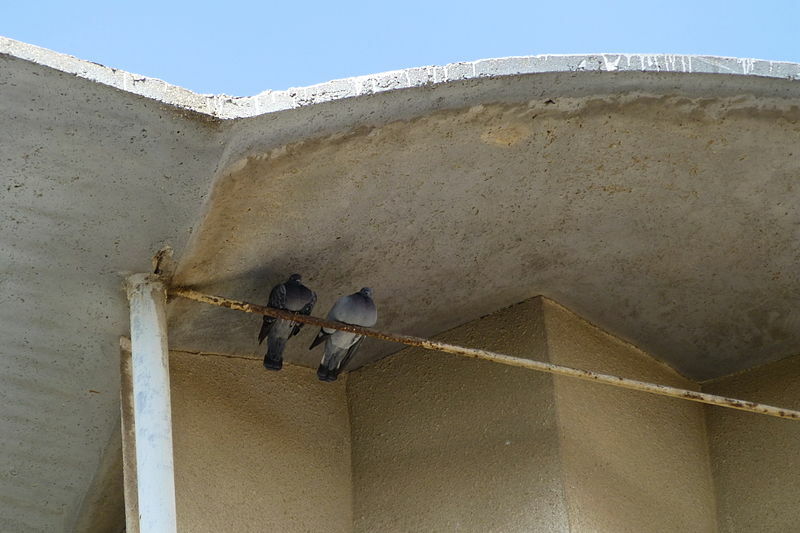 Tel Aviv, Ibn Gabirol: Ever since you moved into the studio apartment the pigeons have been a nightmare. They wake you up every morning at 04:50 AM. They hang out on the window sills and poop everywhere. They even got into the old ventilation shaft and built a nest in the building. And they’re so cocky. They don’t even fly away when you walk by. This is a health hazard. You complained to your landlord, and he told you that nobody else has ever complained before and that maybe you are doing something to attract them. It was so bad you almost moved out. So you asked for advice on Secret Tel Aviv and received ten “Welcome to Israel” messages, three “Go back to North America” messages, and a really sketchy private message. But then suddenly things got better! Not nearly as loud. A lot less poop. And it’s getting better every day! Like there’s less and less of them or something. Also, this really nice Moroccan family moved into the vacant apartment upstairs. They really take care of you too! Twice last week they invited you over for dinner. The chicken and rice was A-MA-ZING. Really lean. Kinda like the free range birds you used to get from Trader Joe’s. You asked the mom if she got it at the Shouk or Supersel and she just smiled and told you that you needed to talk less and eat more if you ever want to not be so skinny. And every evening the grandfather carries this thing that’s like a net up to the roof. It also has these copper weights around the edges. He says it’s to stop evil spirits from coming into the house at night. How amazing is that? It’s like extra protection. So when you left the house this morning, the two pigeons standing outside scattered when they saw you. Like they’re a bit scared now or something.